I’m not sure how I missed the marvel of making ice cream from bananas but it’s now a technique I use all summer long. It’s no-guilt eating because you don’t have added calories from cream and you’re getting a delicious serving of fruit. 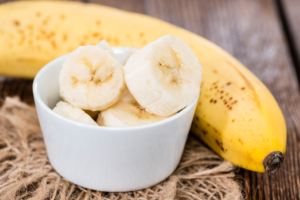 What is so amazing is that you only need one ingredient: bananas! It’s that good. Of course, chocolate syrup, chocolate chips, Nutella, peanut butter, almond butter, honey and cinnamon, berries or other favorite flavors add oomph to this marvelous creation. Add a little for flavor so you don’t go overboard on calories. 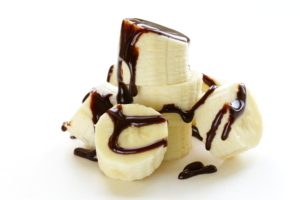 The pectin in the bananas contributes to its ice cream-like consistency when frozen bananas are whipped in a food processor. By the way, this is a great idea to use up extra bananas. Before the bananas get too soft, slice them into 1-inch chunks. Place in a freezer bag and freeze. 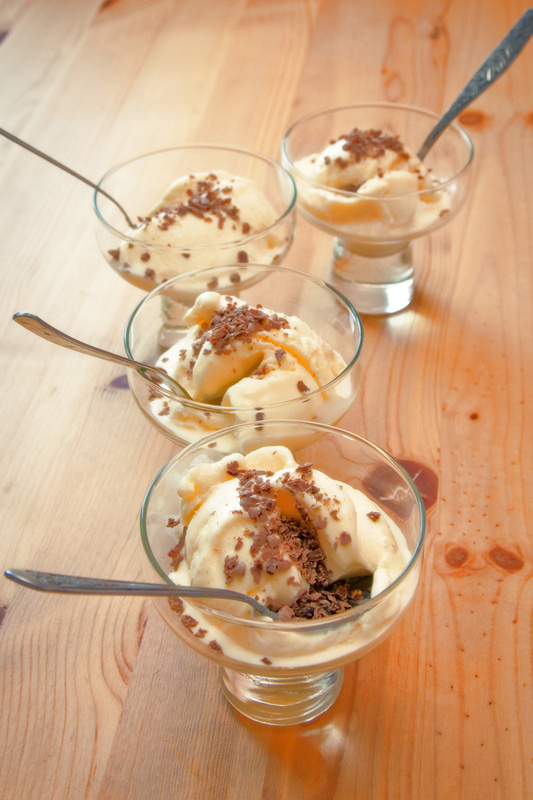 When frozen, place bananas (2 bananas make plenty of ice cream for 2 people) in a food processor and puree. Continue to mix until the bananas are the consistency of ice cream. It doesn’t take long – a couple of minutes – and you will have delicious ice cream that you can scoop into a bowl. It also can be put into a flat pan and frozen to scoop out later. Slice bananas, place on parchment paper-lined cookie sheet, sprinkle with crushed peanuts if you’d like, and freeze. These are refreshing, tasty snacks or you can use them to make the ice cream.